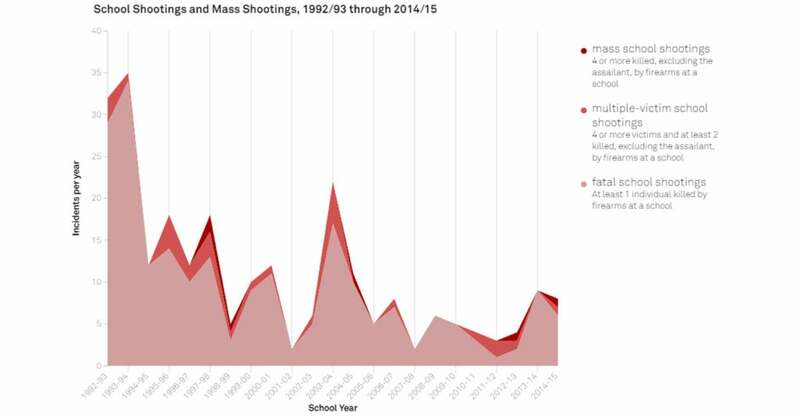 According to a new study, school shootings have declined since the early 1990s. “There is not an epidemic of school shootings,” said James Alan Fox, a professor of criminology, law, and public policy at Northeastern University. “The thing to remember is that these are extremely rare events, and no matter what you can come up with to prevent it, the shooter will have a workaround,” Fox also said. “The Three R’s of School Shootings: Risk, Readiness, and Response” is a new study that dives into the numbers of mass shootings at schools in the United States. The study defines a “multiple victim” shooting as having at least four victims and at least two deaths, not including the assailant. Since 1996, there have been 16 multiple victim shootings. Of those, eight were mass shootings—which involve four or more deaths, excluding the assailant. Authors of the study suggested that school intruder drills, requiring ID cards for entry, and metal detectors have been largely ineffective. 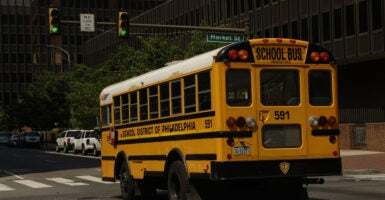 “[School intruder drills] just serve to alarm students and make them think it’s something that’s common,” said Emma Fridel, a doctoral student who helped write the study with Fox. As for metal detectors, a school shooter in Minnesota killed the guard at the entryway of the metal detector in 2005 and another shooter killed and injured children on a playground rather than entering the school in 1989. In 1998, two students pulled the fire alarm and shot students as they exited the school. Increasing mental health resources could possibly help deter mass shooting, Fridel suggested, pointing out the high student-to-student counselor ratio. “You might have students in a very large school who are troubled but who are basically flying under the radar because you have one guidance counselor for 400 students,” she said. The data Fox and Fridel utilized came from the FBI, Gun Violence Archive, Congressional Research Service, and others.